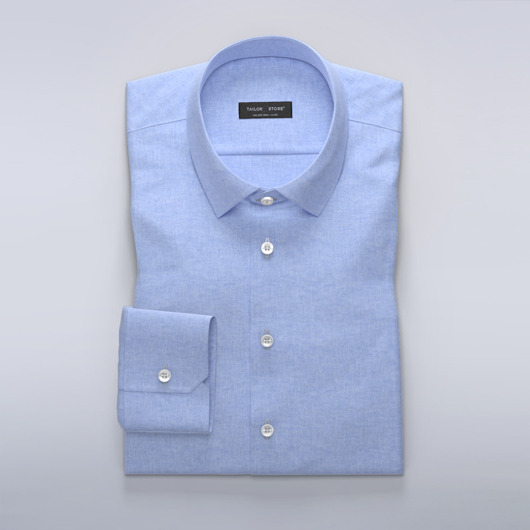 Stylish linen shirt in classic navy blue, with a cut-away modern collar and matching buttons. Team this shirt with navy blue chinos and a dark brown belt for a truly dapper look. Made to your measurements.